It's That Time - How to Successfully Navigate the Flu Season! 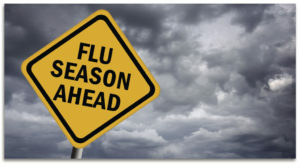 It’s That Time – How to Successfully Navigate the Flu Season! It’s Important: Avoid Synthetic Fragrances! Let’s Make Chocolate a Healthy Food Again! Research currently shows that on average the flu vaccine protects less than 60 percent of those who receive it. However, sometimes it is significantly less effective. The New England Journal of Medicine reported that this past 2017/2018 flu season, the vaccine was only around 10% effective. When you factor in some of the dangers of the flu vaccine, such as its impact on the immune system, and the fact that it often contains mercury and aluminum, along with some traces of ethylene glycol (antifreeze), carbolic acid and the laboratory detergents, some of us prefer a safer and more effective alternative. Others who choose to get the vaccine, want to hedge their bets with additional effective interventions. Probiotics: Most of us know that probiotics support a healthy immune system since 70-80% of the immune system is found in the gut. But here is something you may not know. Probiotics actually increase IgA secretions. In a placebo-controlled clinical trial published in The Journal of Clinical Gastroenterology, researchers tested a cocktail of 5 different strains of probiotic bacteria against the flu. It was found that the probiotics reduced the incidence of both colds and influenza. The placebo group experienced 16 episodes of flu – as compared to 3 in the probiotic group. Another way to say this is that those not using the probiotic were over four times more likely to get the flu and 35% more likely to get a cold. And, even the probiotic group who did get sick, they still had a 22% decrease in the duration of colds and a 39% decrease in the duration of coughs. A second study had even more positive findings with the probiotic mix causing a 48% decrease in the onset of the flu and 55% less days recovering for those that did catch it. As with so many other supplements, all probiotics are not created equally. If you’d like the name of the one I use and recommend, please contact me. Essential Oils: Essential oils are part of the immune system of plants, to help keep them safe from predators, bacteria, fungi and viruses. This why so many essential oils have strong antimicrobial abilities. Therapeutic grade thyme, rosemary, cinnamon bark, wild orange, peppermint, tea tree oil are just a few oils shown, that when diffused or sprayed, can destroy disease-causing microbes. Some of these high-quality oils can be taken internally or diffused to support the body’s immune function. One of my favorite immune-supportive blends is On-guard and can even be taken as a soft gel or a little beadlet which is safe enough for children to use. Many teachers if allowed to diffuse oils in their classroom will use doTERRA’s Onguard. And if not, those in the know use it on themselves during the school day and often diffuse it at night at home. If you want to try a sample, just reach out. Many of my cancer clients, utilize it during travel or after treatment or when they know their immune systems are compromised – especially if they are out in public a lot. Many moms tuck onguard beadlets in their kids’ backpack – and now doTERRA has come out with a line of oils safe for children 3 years or older – including an immune booster – and the oils are in rollerballs which even young kids can safely apply themselves. In summary, eating healthy nourishing foods, taking your probiotics (and your daily vitamin/mineral, omega 3 fatty acids and antioxidants), and using your oils on a daily basis are key to successfully navigating the flu season. Add interventions such as decreasing/managing stress, creating or using nontoxic cleaning and self-care products and you have a recipe to not only help you get through the flu season untouched but also for laying an effective foundation for attaining and maintaining health and vitality. 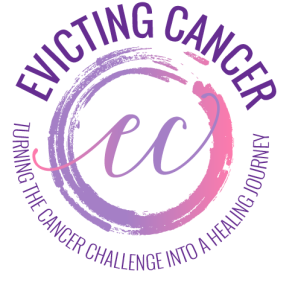 Whether you are dealing with cancer or not, I’d love to offer you a wellness consult to learn how to implement a cost-effective health and wellness plan. Make Informed Decisions for Your Breast Health! Celebrate the Holiday Season…Tips to Handle the Stress! Rosemary Essential Oil…and it Fights Cancer!